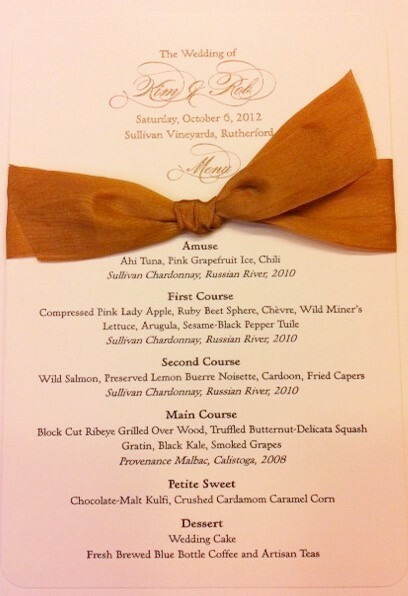 Wedding Menu Cards add another layer of detail to your Wedding. 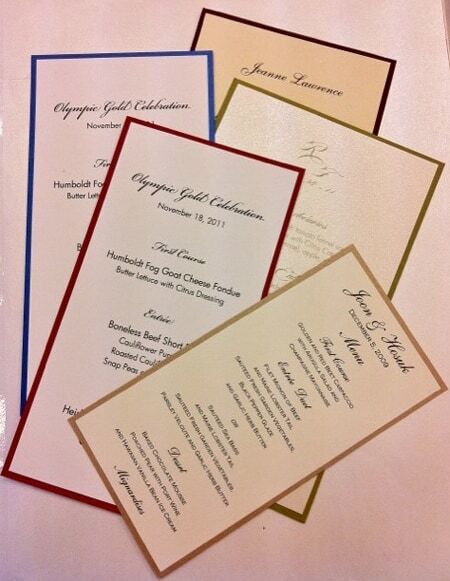 At Hyegraph, we can help you design and create a unique Wedding Menu Card for your wedding party. Wedding stationery, wedding place cards, wedding thank you cards and wedding menu cards insure your wedding is special with a unique wedding menu card. 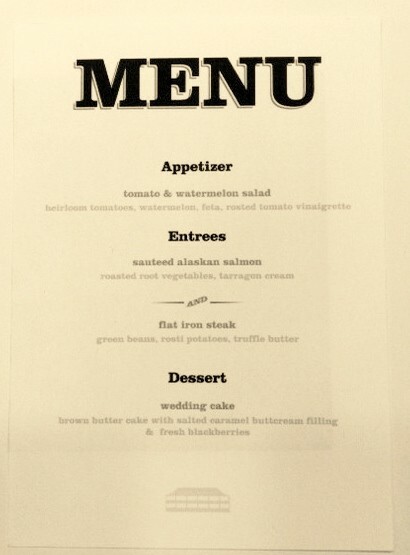 We create a wedding menu card that fits your occasion and your wedding theme. 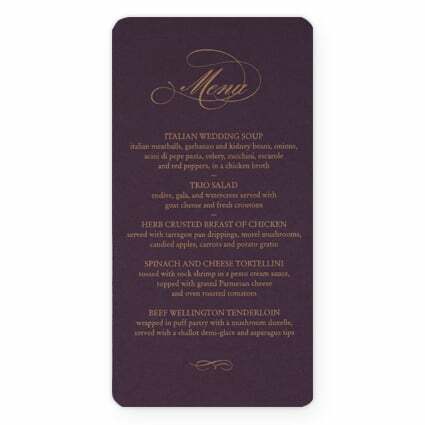 We will take into account the wedding colors, and style of your wedding when designing your wedding menu cards. 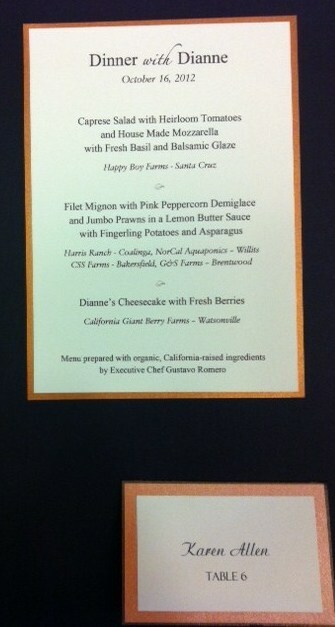 You can choose from the layered wedding menu card, the black and white chalkboard style wedding menu card, the San Francisco themed wedding menu card with the San Francisco bridge, elegant wedding menu card with the classic bow, the understated wedding menu card with a touch of chick or create brand new style with your wedding theme, wedding colors and wedding flair. 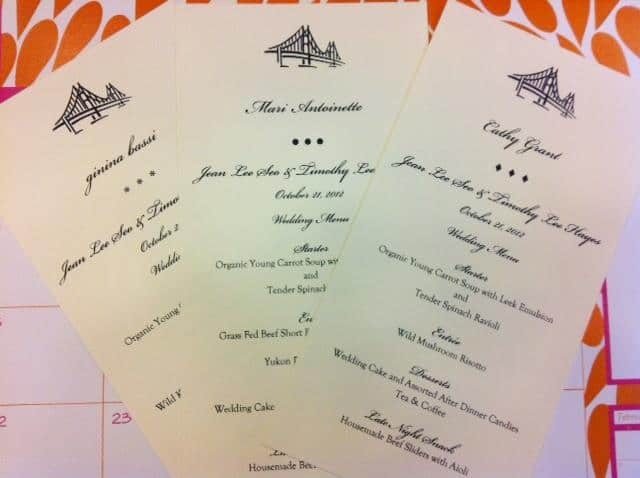 In addition to the wedding card stock options, the wedding color layers and wedding menu card embellishments we can also personalize your wedding menu card calligraphy with your favorite wedding font style and wedding ink color to match and create and harmonies them to your wedding day. Please see our happy customers on Yelp, Google and on our testimonials page! 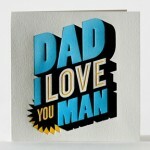 “Hyegraph is the best place you can order your wedding invitations with no doubt. I got referred to this place and had an amazing experience & I recommend this place to anyone looking into planning a wedding. Jacques is very friendly and has great selection of cards that you wish you were not given this many choices! I got my cards earlier than we scheduled and it totally WOW’ed every guest as it was so elegant and chic. 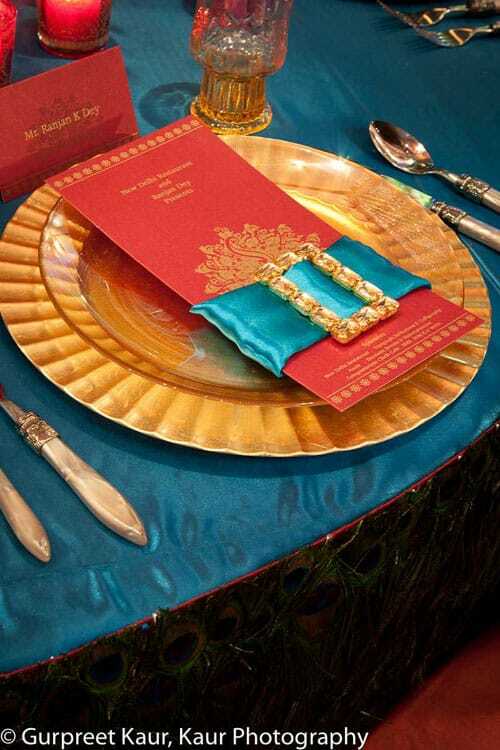 With Hyegraph you are looking to present your wedding invitation in the best way possible and make the best first impression.” Safran D.
These images were from our previous blog posts about wedding menu cards on our wedding blog on www.hyegraph.com/blog.